The last period confrontation between the Islamic Republic of Iran (IRI) and Israel has become a stable tendency to exacerbate with sometimes threats of using military force and has a considerable impact not only on bilateral relations between these countries, but on the situation in the region in general. Rouhani presents himself as a centrist and pragmatist, while receiving support from both the Liberal and moderate part of the Iranian public. He is also supported by the Iranian clergy: enough to say that he was nominated for the election by the combatant clergy Society -influential religious-political organization of Iran. During the election campaign, former Secretary of the Supreme National Security Council, H. Rouhani promised to fix the “Tehran’s relations with the rest of the world damaged in recent years”. He is a supporter of the “constructive engagement with the world”. Whether the new Iranian leadership’s statements mean that there will be real understanding between Iran and the Western world, as well as decrease of military confrontation between this country and Israel, which, as we see, does not seek to establish relations with the new administration in Tehran to some degree? The worsening confrontation between the Islamic Republic of Iran (IRI) and Israel requires comprehension, and this requires to scroll back some pages of bilateral relations. Only few 25-30 years ago, an Iranian-Israeli relations were considered almost a model of neighborly relations in the Middle East. At the time, Iran supplied Israel with very important oil, gas, food and much more. Israeli experts have shared their experiences in agriculture, medicine, science, high technologies in response. There were daily flights between the two countries. Hundreds of Israeli experts worked throughout Iran. In 1971-77, Israel was one of the ten largest partners of Iran. We should notice, that Israel was one of the countries, which stood at the cradle of nuclear energy creation and the application of nuclear technologies in different spheres of national economy in Iran. The Israelis laid the foundations of the Bushehr nuclear reactor, helped to prepare feasibility studies for building a research reactor in Isfahan. Israel contributed to the implementation of the programme of the Iranian peaceful atom, so the accusation that Israel opposes the development of Iran’s nuclear programme for peaceful purposes are inconsistent and unfounded. If we refer to the ancient history, we can find a lot of facts that illustrate the traditional good feelings between Jews and Iranians. Their roots throw back for 25 centuries ago, when the legendary King Cyrus II (Persian Kurosh), who created a great Persian Empire of the Ahmenid dynasty, issued a decree, which gave the Jews expelled from Judea right to come back to their ancestral homeland and rebuild the Temple in Jerusalem. Cyrus became the only foreign ruler, which had a respectful mention in the Hebrew canonical literature. But this centuries-old Iran-Israeli interaction that took place in the interest of both parties, was abruptly interrupted in 1979 after the Islamic revolution and the overthrow of the Shah Reza Pahlavi. The leader of the Islamic revolution, Ruhollah Khomeini unilaterally broke off diplomatic relations with Israel. During the “post-revolutionary period” all leaders, that came to power in IRAN, called to wipe out the State of Israel”. 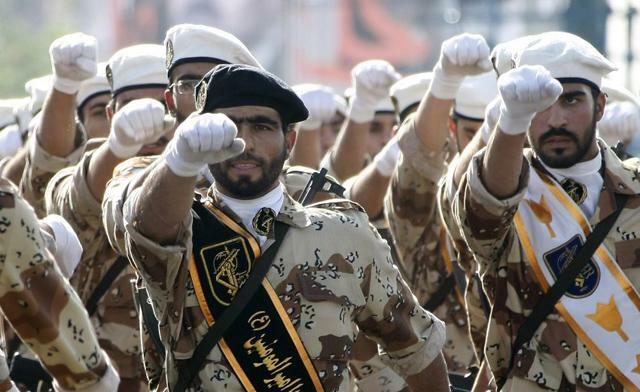 Considering the Israel as the main enemy of the Muslim world, Iran acts with him pretty aggressively and provocatively unlike other nuclear neighbors, where Tehran acts in a very pragmatic way. This relationship, as is well known, is mutual. Experts regard the primary conceptual idea of the new Iranian regime in 1979, led by R. Khomeini about the need to “export” the Iranian Islamic revolution, notably on “Muslim expanses” of the Middle East region as the main cause of the fundamental swip from friendship to confrontation between Israel and Iran. Of course, it has become clear that the Jewish State in the heart of the Islamic world, has become a tangible barrier to “export products”. R. Khomeini, taking advantage of the situation for Iran, as he believed, immediately declared his country “the leader of the entire Muslim world”. In this context, Arab-Israeli relations and especially the Palestinian problem gained new meaning. No one, including Russian observer, was surprised, that the first foreign leader to visit Iran, literally “in the early post-revolutionary days” became Yasser Arafat. In that period he received assurances from Tehran that after the resolution of the internal political situation “they will start organization of the historic defeat of the Zionists”. For the period of waiting when Iran “is ready for such drastic action”, “tens of millions of dollars on the needs of the Palestinian revolution” were issued to Arafat. And the Mission of the Palestine Liberation Organization (PLO) moved in the vacated building on the Israeli Embassy in downtown Tehran. Sergey Pivin, expert on the Middle East, exclusively for the Internet magazine “New Eastern Outlook”.